This client wanted a new sofa to introduce some colour to her living room - but why stop at the sofa! Pink walls sit beautifully with a teal sofa and added monochrome details create a stand out living room! 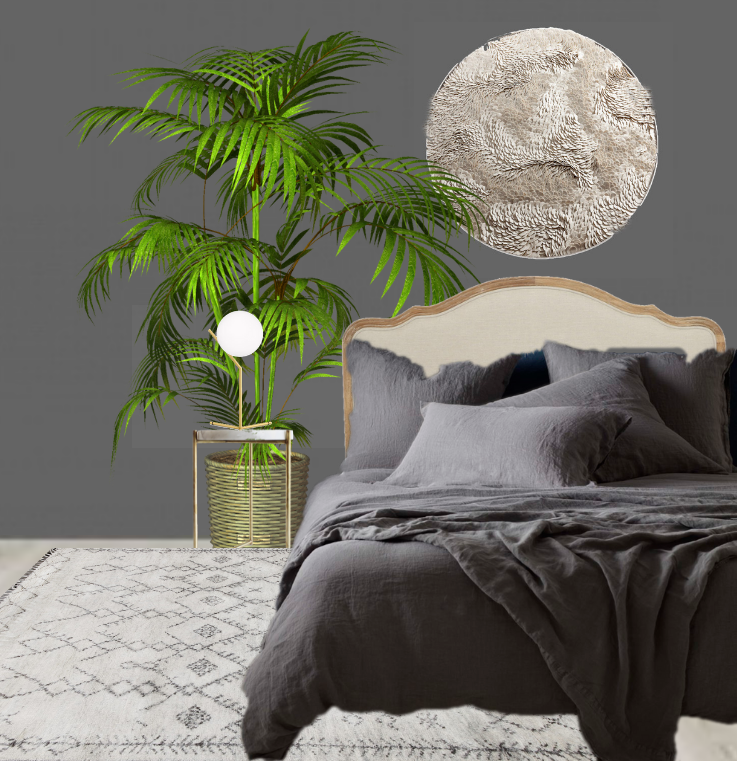 We designed this ‘Moonscape’ space for our client who wanted to create a tranquil yet sumptuous bedroom with a relaxed vibe. Unique artwork and crushed dark linen combine to make this a seductive and intimate sleeping space. This client was looking to make her living room a more coherent space. After spotting some artwork she adored she wanted to utilise it as the focus of her room scheme. You can see that we followed through with shapes and pattern whilst allowing the colour scheme of the prints to flow. Our client felt her property was looking dated and wanted an update incorporating a warm Scandi style. We introduced some texture and colour to this bedroom, combining greys and mustard, to present a restful and stylish space.